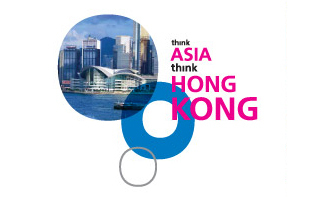 HKTDC, which has for many years organized and implemented impressive events throughout the world, recently developed a series of major events “THINK ASIA, THINK HONG KONG” (TATHK). Parter International was chosen by HKTDC to handle the social media and traditional public relations for the initial events in New York City and Los Angeles in 2013. Because of our success in managing these events (over 3000 people all attended to the events) HKTDC retained Parter International again to assist them with TATHK events in Toronto and Chicago in June 2015. The events include general business seminars, sector specific sessions, consultations with HK service providers, business matching meetings, and an evening gala. Two primary objectives of the Toronto and Chicago events were to bring together business and related government communities from the US, Canada and Hong Kong to discuss global developments and trends, and explore business opportunities in Asia in general and China specifically, using Hong Kong as a base, and to create business opportunities for Hong Kong, American and Canadian businesspeople in a number of select industry categories. Our task was to work closely with HKTDC staff to: create an overall awareness of and excitement about the TATHK events, and in the process, create a wider awareness among US and Canadian businesspeople of the advantages offered by the Hong Kong business platform.